Discounts apply to direct purchases by individual U.S. and Canada customers only. Type 1 diabetes, also known as juvenile-onset or insulin-dependentdiabetes mellitus, is caused by the destruction of insulin-producing β cells in the pancreas by the body's immune system. It affects millions of individuals worldwide, who require regular insulin injections to control blood glucose levels and avoid severe consequences of glucose dysregulation. 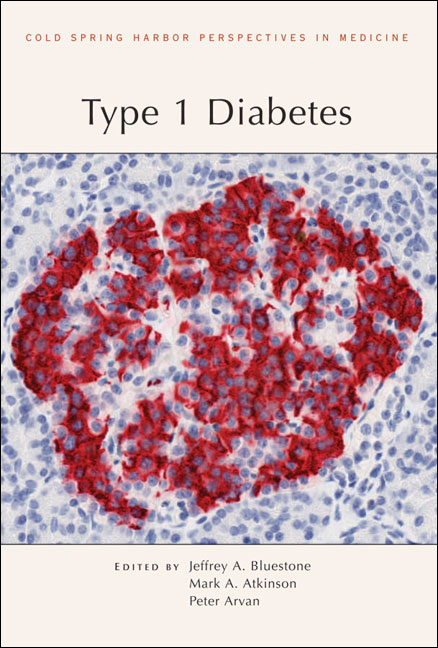 Written and edited by experts in the field, this collection from Cold Spring Harbor Perspectives in Medicine provides a detailed examination of the causes and pathogenesis of type 1 diabetes. The contributors discuss genetic risk factors, environmental triggers, and our current understanding of the autoimmune response underlying the condition. Animal models for diabetes, epidemiological considerations in disease etiology, and the development of diagnostic markers and tools are also reviewed. This volume includes discussions of treatment strategies for type 1 diabetes, such as immunosuppressive drugs, antigen-specific approaches, pancreas and islet transplantation, and the use of stem cells. It is an essential reference for not only immunologists, physiologists, cell and developmental biologists, and geneticists, but all medical scientists and physicians interested in the pathology and treatment of this difficult disease. Do MHCII-Presented Neoantigens Drive Type 1 Diabetes and Other Autoimmune Diseases?